With Valentine’s Day just around the corner, you are probably gearing up to find a perfect gift for your partner. Needless to say the market is flooded with options, but we suggest investing in something everlasting. 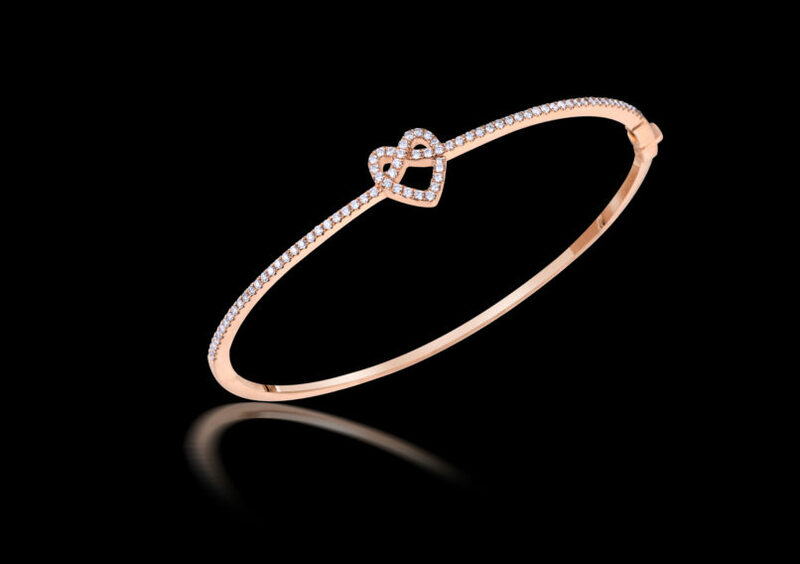 There is nothing better than jewellery as a perfect Valentine’s Day gift. 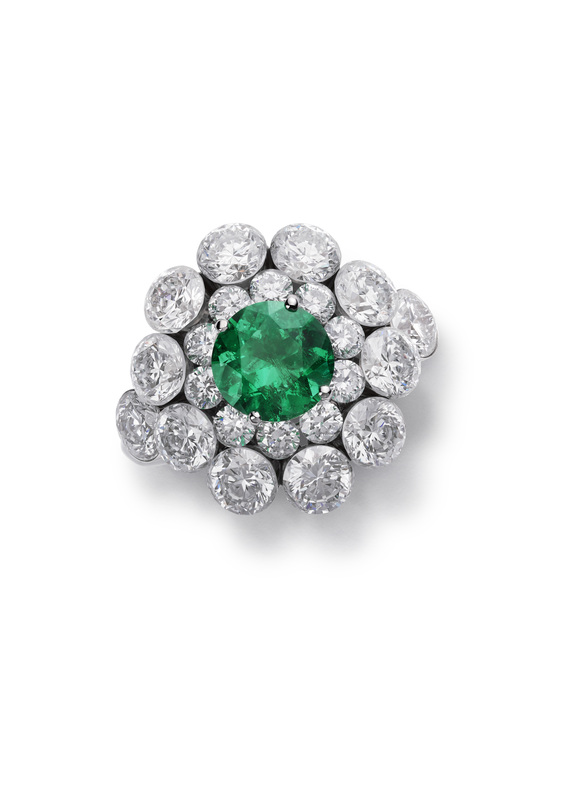 A number of Indian jewellery brands have created capsule collections featuring jewellery with floral, heart-shaped motifs in the best of diamonds, rubies, and platinum. Here are a few cues that can ease your struggle. 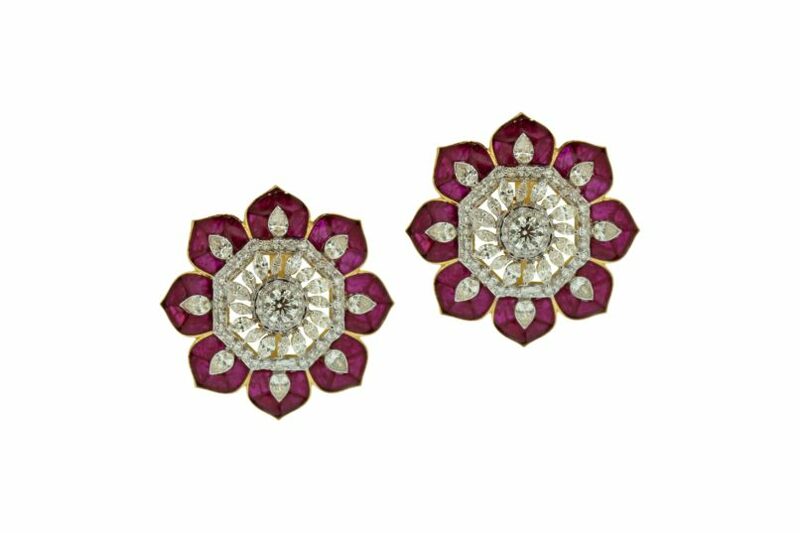 Indian heritage jewellery brand Birdhichand Ghanshyamdas Jaipur is known for its bridal jewellery but just for this Valentine’s Day, they have unveiled a capsule collection comprising of pieces inspired by the mesmerising floral landscapes and ornamental detailing of the Mughal Gardens. There are cuffs, neckpieces, and earrings intricately carved using exceptional gemstones such as passion-pink sapphires, electric rubies, and brilliant diamonds. These floral ear studs not only fit in the Valentine’s Day colour scheme, they are light yet loaded with the requisite amount of bling. Gehna Jewellers understands how to bridge the gap between tradition and modernity; and if you are on a lookout for something charming yet understated, Gehna has created a capsule offering especially for Valentine’s Day. Keeping the heart-shaped motif as the focus, they have designed a line of neckpieces, cuffs, and earrings. However, this cuff made in rose gold and diamonds stands out. Sleek and simple, it is meant for women who are on the lookout for something understated. The precious jewellery brand has created a stunning collection of watches, jewellery, and accessories to suit the occasion. 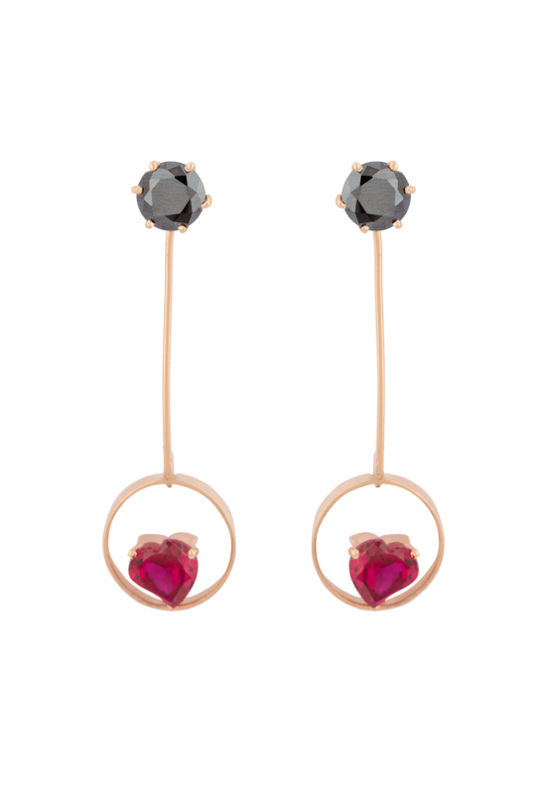 With their every piece exuding a personal feel, their experiment with rose gold and diamonds will set the tone right. 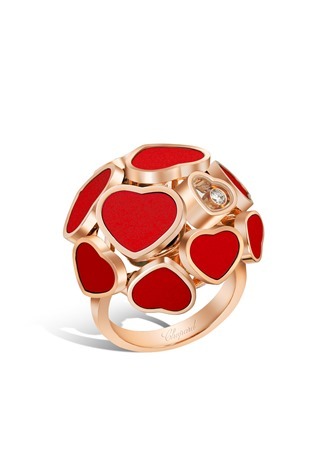 What stands out for us is this ring, featuring a bouquet of heart motifs made in 18-karat rose gold, exhibiting the maison’s commitment to craftsmanship and innovation. 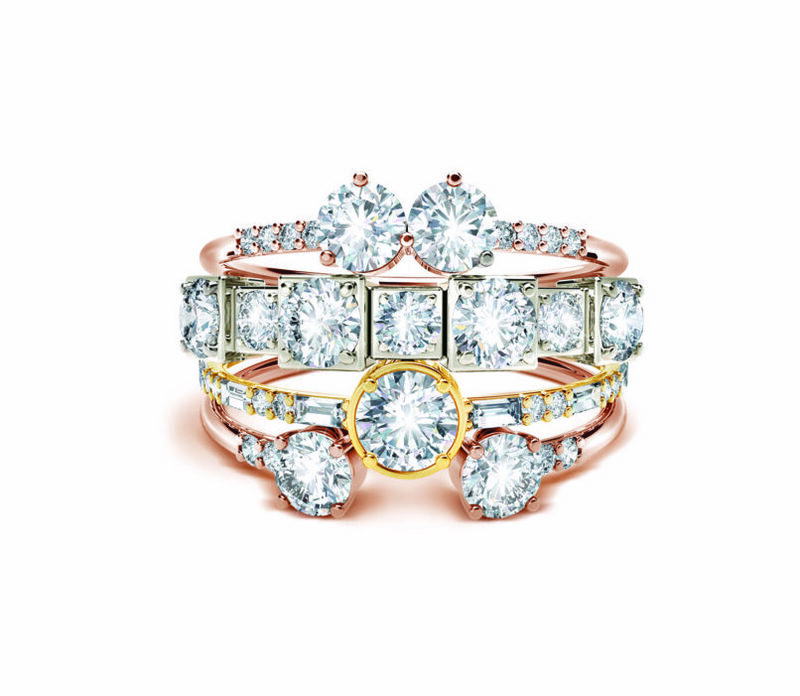 With an aim to reflect the wearer’s own distinctive qualities, Forevermark has created, Tribute, a special collection for Valentine’s Day featuring 22 rings made in multiple Forevermark diamonds in different shapes set in either white, yellow, or rose gold. Each piece can be stacked to create a perfectly curated day or evening look, either for yourself or as a beautiful gift for a loved one.